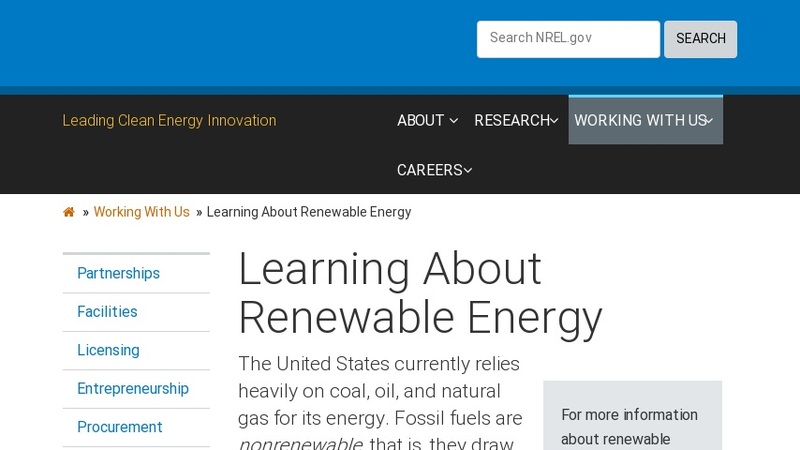 This site describes National Renewable Energy Laboratory (NREL) research into renewable energy technologies and provides information on energy efficiency and various applications of renewable energy. Topics include the major categories of renewable energy (biomass, geothermal, solar, and wind); how renewable energy technologies can be used by consumers and providers; and how renewable energy can be stored and delivered. There is also information on advanced transportation technologies and links to a variety of educational resources for students about renewable energy sources and technologies.